The first real snow started falling in the Northeast and people are already sick of the local news and their hype. 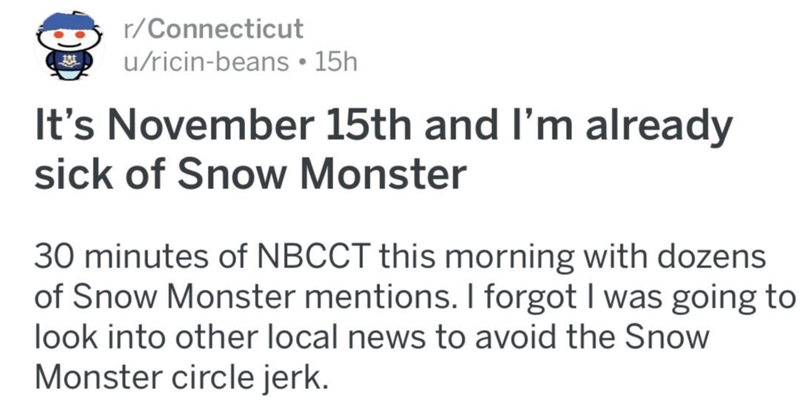 There was a thread started on Reddit about the Connecticut stations news coverage and it looks like some viewers are already sick of the Winter coverage despite the fact that the season is just getting started. Winter hasn’t officially arrived and the TV stations hype has viewers already hoping for Spring.